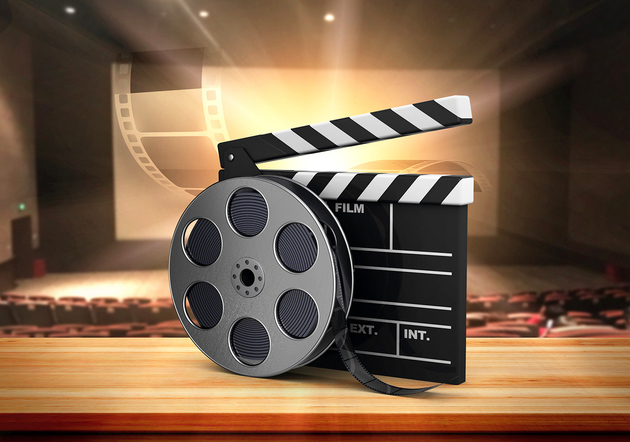 Jan. 25 (NBD) – China's film industry was sent to a chill last year by stricter regulations due to tax evasion. Huayi Brothers Media Corporation announced Wednesday that it has entered a strategic agreement with Alibaba Pictures Group and plans to apply for a loan of 700 million yuan (103.2 million U.S. dollars) for five years from the latter. In fact, behind the liquidity deficit of Huayi Brothers is the enhancing risks in the film industry. A middle-level employee at a listed film company told news outlet the 21st Century Business Herald listed companies are less affected by the sluggish film market. An executive revealed some of the firms also encountered capital divestment from partners. But they have actively taken corresponding action and consequently there's no problem with capitals. But small- and medium-sized companies in the industry were not that lucky. At the end of last year, a famous director of melodramas said to the 21st Century Business Herald his film, once at the edge of shutdown, was finally taken over by an Internet company. The unrest in the film sector was mostly caused by changes of policies. In the second half of 2018, a series of polices for tax supervision and restrictions on film stars' earnings were imposed. These changes directly increased the uncertainties of the industry, causing the number of high-cost blockbusters to drop. The elevated tax paid by film workers became invisible burdens on investors, making investments in the industry further decrease. A research study showed only 20 more film crews started shots in July and August of 2018, a sharp dip from 60 more in the previous year. According to Wind statistics, the price-to-earnings ratio of the film industry slumped to 13.81 at the end of 2018 from 148.6 in 2010. Zhang Heng, a media industry analyst at Guosen Securities explained that the slipping growth rate of box office, uncertainties in the film industry and reputation risks of listed companies prevented the investors from entering the market. An investor disclosed that they are now focusing mostly on the channels rather than the contents. Although both optimism and pessimism about the future of the film box office existed, it is commonly acknowledged that the box office will keep growing but film makers should prioritize the balance between supply and demand of contents. Amid the fluctuation of film market, listed film companies are exploring a way out via transformation into or expanding presence in the real-scenario entertainment domain. Additionally, Internet titans, with advantages in traffic and capitals, are becoming the targets for film companies. Tencent and Alibaba have acquired stakes in Huayi Brothers, while Alibaba has also been the second largest shareholder of Beijing Enlight. How to keep independent while partnering with Internet giants has been a concern for film makers. In Zhang's view, it is important for those film companies, whose contents lack diversity, to cooperate with big companies. But whether they can keep independent is determined by their basic strength. John Zeng, president at Wanda Film Holding Co Ltd, said film companies have their own traffic and ecosystem and will keep a balance between themselves and Internet firms.